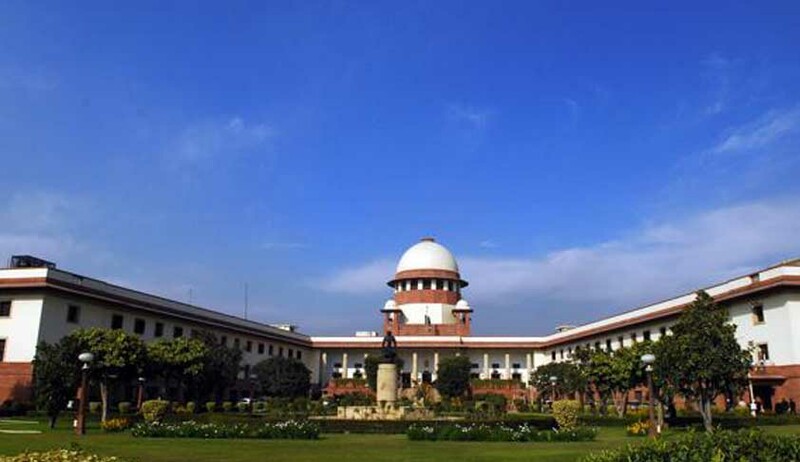 The Supreme Court on Wednesday assented to hear the Central Government’s plea that sought interim order for implementation of 4.5 per cent sub-quota for backward classes belonging to minorities in central educational institutions which was dismissed by the Andhra Pradesh High Court. Justice K S Radhakrishnan, who headed the bench, notified to the government to file a proper application by moderating its earlier order in which it had refused to stay the High Court judgment. Solicitor General Mohan Prasaran submitted that in a similar case the apex court had permitted the Andhra Pradesh government to implement reservation for backward Muslims within the state till the matter is decided by it. The Centre stated ,"It is respectfully submitted that to avoid ambiguity and inconsistency, particularly when a larger bench has passed an interim order on the same issue and when the matter has been referred to a Constitution Bench, it is only logical to extend benefit of the same interim order to the present case as well,'. The petitioner, who pleaded to the High Court of Andhra Pradesh to quash Centre's decision, said this move by the Centre to be of political instigation for the elections. However, the bench agreed to try the plea of the government. In June, 2012, the apex court overruled to stay the High Court verdict which dismissed 4.5 per cent sub-quota and had ticked off the government for the way it had handled the "complex and sensitive issue". The sub-quota of 4.5 per cent for socially and educationally backward people belonging to minority communities was announced by the UPA government on December 22, 2011. It strategized to create this sub-quota out of the already existing 27 per cent quota for Other Backward Classes (OBCs). On May 28, 2012, the Andhra Pradesh High Court declared government's sub-quota for minorities decision as null and void. It said that Centre acted in a "casual manner" in making such an execution. The High Court observed that the government Office Memorandum (OM) creating the sub-quota was based on religious grounds rather than being on any intelligible consideration. The bench also mentioned, "No evidence has been shown to us by the learned Assistant Solicitor General to justify the classification of these religious minorities as a homogeneous group or as more backward classes deserving some special treatment. We must therefore, hold that Muslims, Christians, Sikhs, Buddhists and Zoroastrians (Parsis) do not form a homogeneous group but a heterogeneous group,".